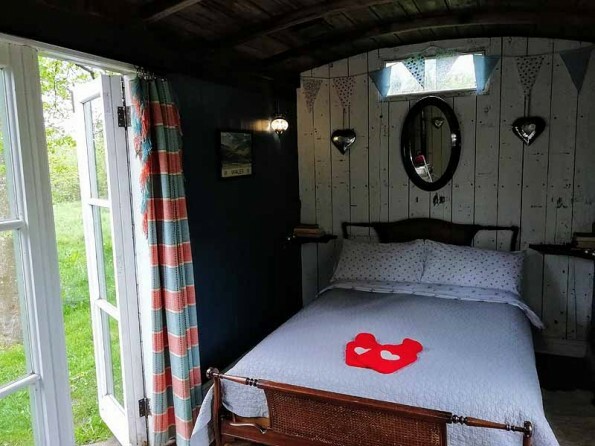 Unique, romantic and off-grid, this beautifully converted railway carriage sits beside a stream in the Brecon Beacons with views straight up to the mountains. It’s utterly magical. 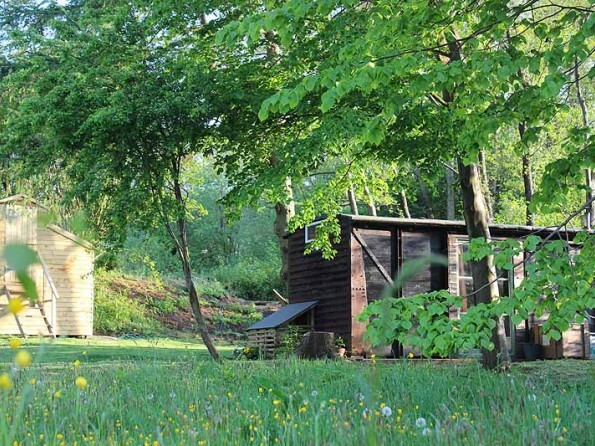 Set within the grounds of a traditional country house, Danyfan Carriage is a rustic yet luxurious little hideaway where you can completely escape from the real world. 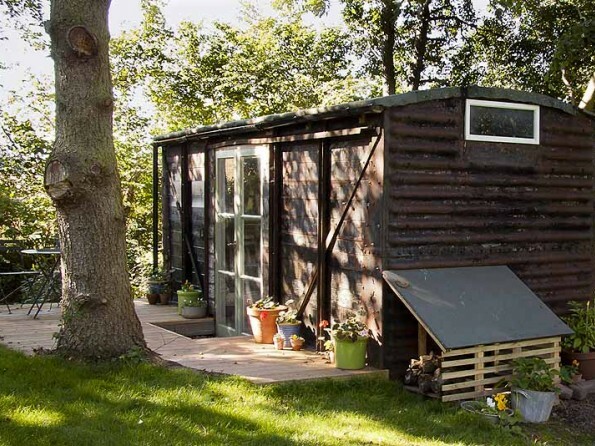 Inside it is full of quirky touches and upcycled or recycled furnishings, not to mention a welcome hamper of goodies to include homemade sour dough bread and brownies, locally produced bacon, butter, eggs, and milk. Outside there is a deck and a fire pit so you can sit by the burbling stream and let your cares float away. And nearby there are walking trails and country pubs galore. You won’t want to leave this enchanting spot. 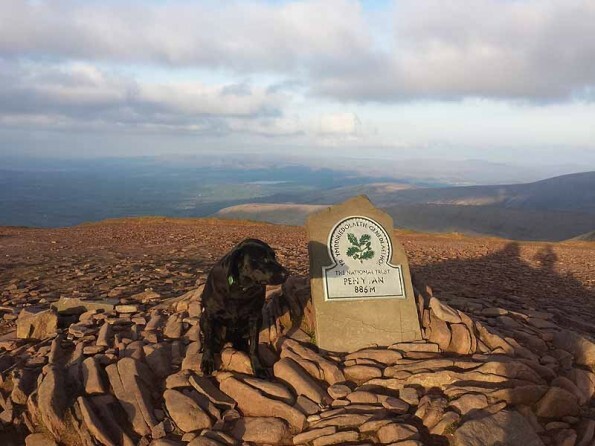 Danyfan is at the foot of Pen-y-Fan (the highest peak in the Brecon Beacons) and there are activities aplenty to enjoy during your stay Keen walkers and cyclists will be in heaven and fishing is a popular sport, or you could take a leisurely tour of some of the nearby country pubs. 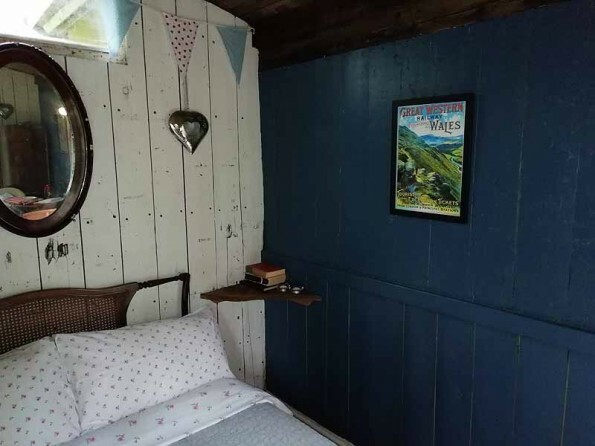 Families can take day trips to the National Showcaves, the Owl Centre, Brecon Mountain Railway and the nearby Cantref Adventure Centre, and this is also an excellent base for festivals like Green Man, Hay Literary Festival, Abergavenny Food Festival and Brecon Jazz. If you have sat nav follow the directions based on the postcode LD3 8LG. This will take you straight to the house, although the ‘you have arrived at your destination’ tends to come just after the entrance. The market town of Brecon is just 2 miles away. 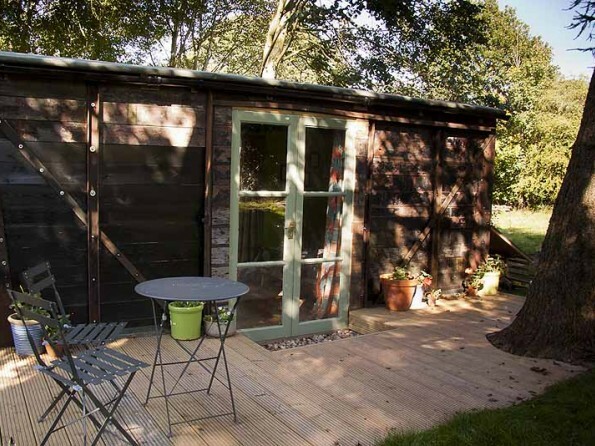 The carriage sleeps two and has a wood burning stove as well as hot water bottles to keep things cosy. 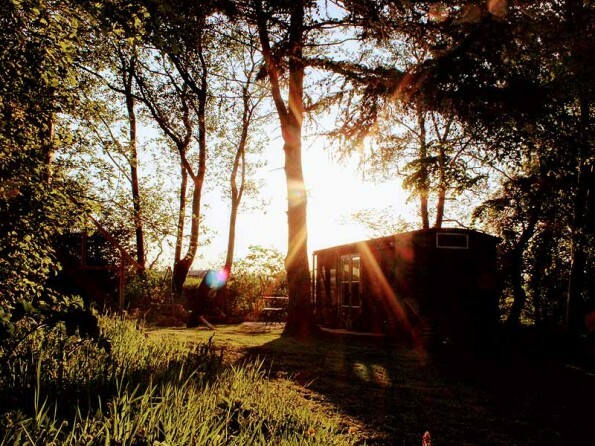 Solar electricity keeps your provisions cool in the fridge and allows you to charge your phone and candlelight creates atmosphere, and 10 metres from the carriage you will find an eco-friendly compost loo and an al fresco shower with hot water. There is a deck outside with a fire pit and tripod BBQ, and from here you can listen to the stream and gaze up at the mountains. 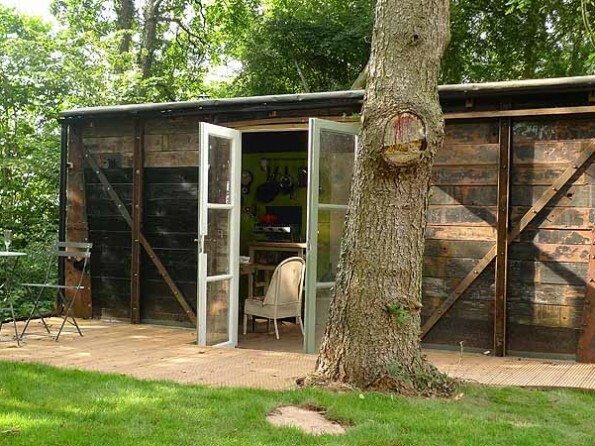 On site there is also a house which sleeps 10. We require a 25% deposit to confirm the booking, and the balance to be paid 6 weeks before your holiday. Minimum stay is 2 nights. Check in is from 3.30pm and check out by 10.30am.